When a writing collaboration works, partners inspire and complement one other. The creative process is less lonely. But when collaborations fail, the drama may be as ugly as a Hollywood divorce. For every successful writing partnership, there are dozens of failed ones despite the best of intentions. Not everyone is a team player, and not every team is a winner. To improve the odds of a successful writing partnership take the time to put the collaboration agreement in writing. Most people resist this idea. Like a prenuptial agreement, it kills the romance. They don’t realize the process of preparing an agreement may be more valuable than the result. If writers do a good job discussing issues at the start, they are less likely to have misunderstandings later. Fiction, nonfiction, memoir? Try to craft your elevator speech. Even better, create an outline. I mean this literally. Draw a box and write down what creations are inside the box (and project) and what creations are outside the box and may be used by the partners separately. Sequels, prequels, and competitive works? What about rejected ideas, characters, and scenes? The most successful partners share common goals. If one partner’s objective is to make money with a genre piece and the other dreams of creating literature, expect friction. I suppose the partners might agree that their diverging goals will be complementary, but head-butting may be unavoidable. Will one partner write out the story in narrative form, and the other flesh out scenes and dialogue? Will you draft chapters and trade them for comments? Some writers work well brainstorming together; others prefer a silent room. How often and how will you meet? How will you give and receive criticism and comments? Some partners handle bluntness and sarcasm without missing a beat, but most require a gentler touch. The longer you work together, the easier it gets. Remember your partner’s criticism may be a gift; she cares enough to help make the work better. Expect the project to take at least twice as long as planned. Unless you agree otherwise, all partners own equal shares in jointly-created work. Plus each partner has the power to sell or license the work without the other partner’s consent (although income must be shared). Yes, a partner who contributes 5% gets an equal share UNLESS you agree otherwise. Put your ownership percentages in writing. Agree that no partner may sell, license, or transfer any interest in the project without the consent of the other partner. Register the copyright under all names, or the pen name, or all of the above. I recommend the partner who had the original idea own the majority interest, even if it is a token amount (51%/49% split). That little bit saves resentment later. If one partner handles readings and conferences that partner should keep a larger portion of sales made at the events. Will both names appear on the work and in what order? Will credits be listed as A and B, A with B, or A as told to B? Will you use a pen name? If one partner pays for research, editing, design, and marketing, does that partner recoup expenses before income is shared? If income never covers expenses, does the other partner kick in his share? Who will engage editors and designers, negotiate contracts, handle interviews, and manage social media? Assign tasks. Don’t take the shortcut of saying responsibilities will be shared equally. It never happens. People gravitate to the tasks they do better, and unpleasant work will be left undone. You will have disagreements. View them as a sign that something is not working in the manuscript. Listen to each other. Let go of your ego, and look at the problem a new way, your partner’s way. If you cannot agree, decide up front who gets the final say. If the project was one partner’s idea, typically that partner decides. Or pick a third party trusted by both sides. Agree that neither of you will quit without giving the other party notice of what’s not working and a chance to fix it. Respect requests for cooling-off periods. Each partner should promise that all work contributed will be original, will not be defamatory or infringing, and will not invade privacy or other rights. If the partner breaches, that partner should cover costs and liabilities. Don’t be foolish about this. If your partner introduces material you suspect is problematic, rewrite it or reject it. No matter what your agreement says, both of you may be responsible to third parties. Although I have referred to writing partners, the agreement should state that the parties are collaborating for a specified project and are not creating a general partnership. What if one of you gets hit by the proverbial bus? Does the other have the right to finish the project with an equitable adjustment in ownership and income? Does all decision-making authority transfer to the surviving partner, or will the heirs or representatives of the deceased or disabled partner have a say? If the partnership terminates, who owns the work? Who has the right to complete the project? There are no right answers here. The partners need to talk this out. If you are feeling unfairly burdened, take the chance of bringing it up. The sooner the better. Entering into a collaboration involves giving up some control. Your partner may have a different approach to a scene, character, or problem. Consider that a good thing. This is why you are working as a team. Laugh together, especially when everything is going wrong. When you finish each chapter, share a bottle of champagne. When you complete the first draft, take yourselves out to dinner. Years ago, a friend told me the motto of a happy marriage: “I can’t read your f**king mind!” The same is true in writing collaborations. Lakisha, Even if you are the inspiration and moving force behind the book, each author will own the copyright in his or her work. You should have an agreement with each author granting you the rights to use the work, and specifying how the work may be used and how any royalties are shared. It’s best to discuss these matters up front. Would you pose the same advice if you are looking at more than two people collaborating? If you are the visionary for book where you want 12 people to write there own personal experience/chapter based on the theme selected would you have an agreement with each separately or list everyone as co-authors. I have seen the visionary listed on the front of most of the books I have seen. 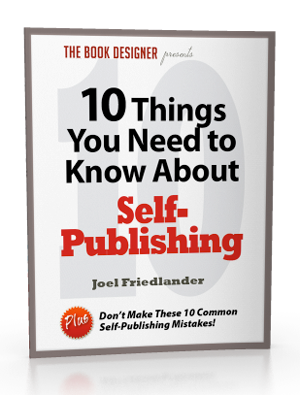 Also if you are doing at through self publishing and do not have to go through publishers would you do anything differently? KaZ, Thank you for the feedback. Too often, partners do not discuss these issues until a conflict arises. It is soooo much better to talk these issues out before conflict and resentment arise. This is true of every kind of partnership. Confused Mom, How fun to work with your daughter this way! You have a lot of flexibility in allocating the copyright ownership in the novel. Ownership does not need to be 50/50. You could allocate it 90% to you and 10% to your daughter, 80/20, etc. And you can describe her contribution any way you want. It’s your creation and property and you get to make these decisions. Brilliant. I just shared this with my newest writing partner of children’s books. This is a part of our collaboration agreement with a few tweaks specific to our collaboration. These items must NOT be overlooked or you are “dead in the water” before you even get started. I have been writing for quite a while and I am in two new collaborations that are very different from one another. HOWEVER, this is applicable to BOTH! Thank you for your insight and your support of writers and writer’s success! My daughter wrote a very small short story which she asked if I could create a novel out of. In order to do this a much larger and more definitive plot was needed, so she and I discussed the larger image in her mind of the world – landscape, habitats so on and basic aspects. I then wrote the full novel and discussed her ideas on parts to bounce thoughts around. Ultimately we collaborated creative ideas and opinions but the actual production was done by me. So is she an acknowledged collaborator because the original excerpt was her creation and she contributed her brainstorming on bits here and there with no further writing or editing. Is she considered a co author of the novel. Thank you for your time and assistance in figuring out how to determine the difference. Adam, Thank you for sharing the link. It’s important for writers to read about the upside of a successful collaboration. My blog has a lot of unique content I’ve either created myself or outsourced but it appears a lot of it is popping it up all over the web without my permission. I usually do not comment, however after reading a lot of remarks on this page 21 Tips for Creating a Successful Writing Collaboration by Helen Sedwick — The Book Designer. mind. Is it just me or does it look like like some of these comments appear like they are left by brain dead people? 😛 And, if you are posting on other places, I’d like to keep up with everything new you have to post. Desiree, Good question. There should be a Match.com for writers. If you are part of a writing group, you might try someone in your group. Or you could approach a writer if you are familiar with his or her work and have a sense of the person through social media or personal connections. As with romance, the right chemistry is hard to find. I was in a writing partnership that did not work out. We are still friends, and I think he is a talented writer, but our styles were too different. Oh my, this does sound like romance, doesn’t it? This is great! Any advice on how to find potential collaborators in the first place? It’s proven more difficult than I thought it would be. Partnerships are not easy but when they work, they are wonderful! I love your breakdown of the process to make certain that each person knows what his or her role is so that the partnership works out great for everybody. Thank you Katie. I hope the third time is the charm. This is fabulous! I’m a part of a writing collaboration that is in our third round (the other attempts failed, but we’ve been working out the weeds slowly) so this list was spot on what I needed to read. I’ve already purchased a copy of Helen’s book and love following her advice. Thanks Joel! Another great article.